Your support has helped us do such meaningful work and we’re proud to share some of it with you. total number of spots that were filled in our iAM program in 2018.
total number of youth who found paid employment as a result of graduating our iAM program in 2018. Some of those youth had to open up their first bank accounts to deposit their earnings. number of transit tickets/tokens given to youth in our iAM program in 2018. This is done so that youth have the opportunity to attend our program and get home afterward. total number of weeks the program was offered in 2018. For context, the program was only offered for seven weeks combined from 2015-2017. Nikon Canada supported the program through in-kind donations of camera equipment and photography workshops. Daniels Corporation supported iAM in Mississauga through in-kind donations of space for workshops and galleries. Both Daniels Corporation and Luminato Festival hired iAM graduates for photography work. 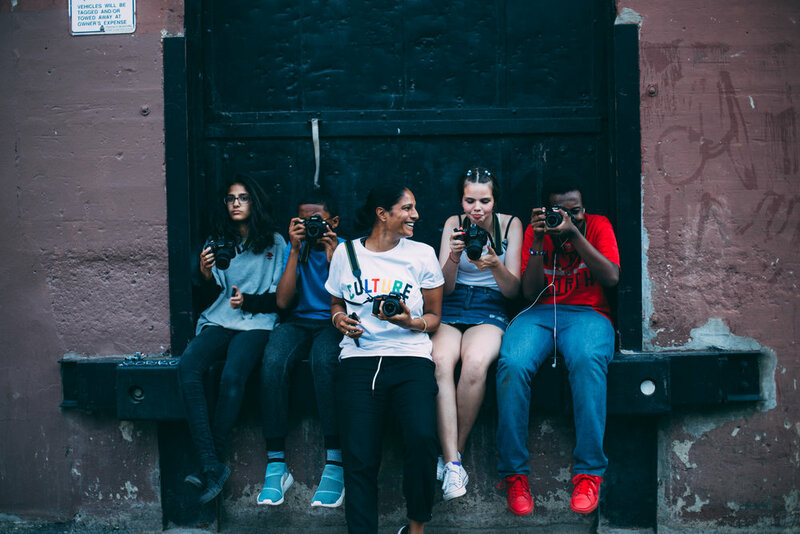 Our iAM program has been featured in numerous media platforms across the country, helping us spread the youth's art and stories while instilling in them the confidence that they are talented! Your support helps ensure that more youth from underserved communities have access to this program and high-quality arts mentorship. Please consider making a one-time or monthly gift today.